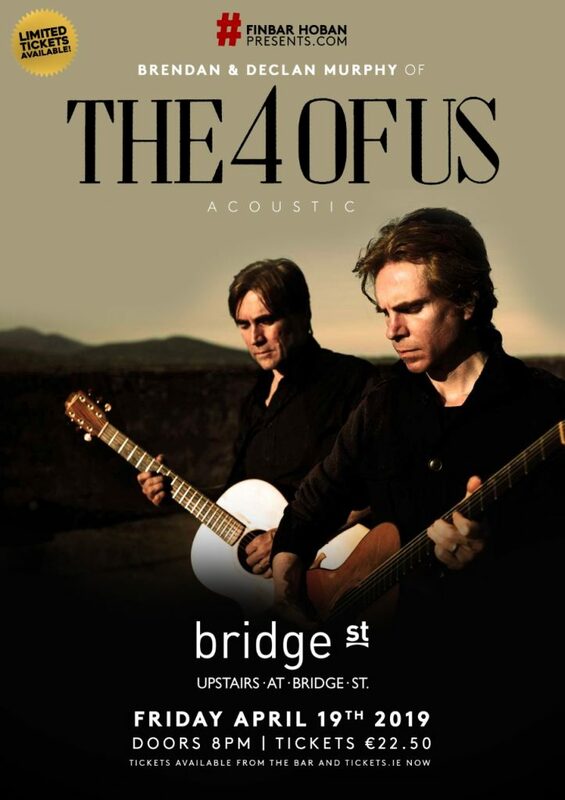 The Cork alt pop legends are coming to Castlebar for a very special acoustic show upstairs at Bridge St. Feb 1st. Not to be missed. 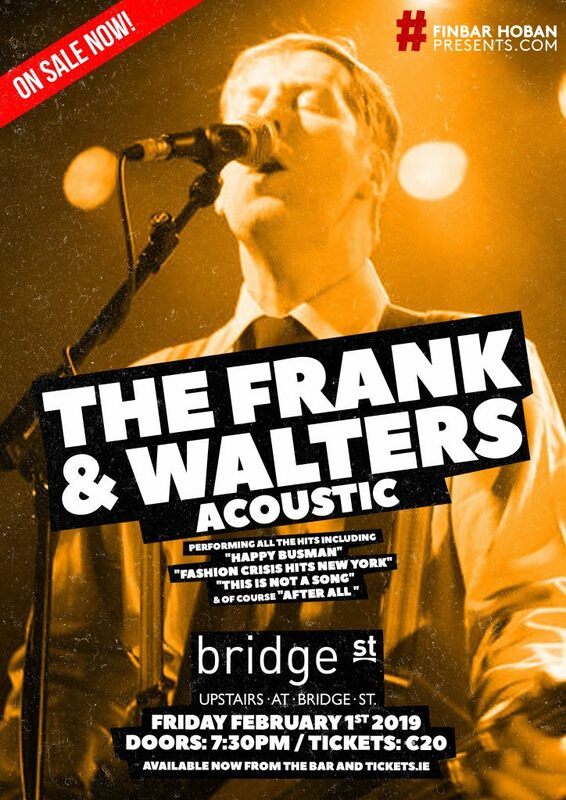 Tickets are 20 euro and are available now at Bridge St. or online at tickets.ie. ﻿The 4 of Us known for such hits as Mary , Drag My Bad Name Down and She Hits Me will be performing a very special acoustic gig upstairs at Bridge Street pub in Castlebar on Friday April 19th. Tickets are €22.50 and are available now at Bridge St. or online at tickets.ie.